Suffolk County Police Vehicular Crime Unit detectives are investigating a motor vehicle crash that critically injured a female motorcyclist in Greenlawn last evening. Greenlawn, NY - August 31, 2013 - Connie O’Hara, 51, of Huntington was driving a 2013 Volkswagen westbound on Pulaski Road when she attempted to make a left turn onto Butterfield Drive. 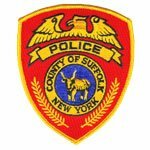 O’Hara’s vehicle collided with a 2002 Honda motorcycle, driven by Karen Labarbera, 52, of East Northport, who was driving eastbound on Pulaski Road at 7:15 p.m.
Labarbera was transported to Stony Brook University Hospital via Suffolk County Police helicopter. She sustained head and left leg injuries and is listed in critical condition. O’Hara was arrested and charged with Driving While Intoxicated. Both vehicles were impounded for safety checks. O’Hara will be arraigned August 31 at First District Court in Central Islip. The investigation is continuing. Detectives are asking anyone with information about this crash to contact Vehicular Crime Unit at 631-852-6555 or call anonymously to Crime Stoppers at 1-800-220-TIPS. Subject: LongIsland.com - Your Name sent you Article details of "Driver Arrested for DWI After Crash Critically Injures Motorcyclist"